Christopher's work amongst London magicians is known as much for the strong impact his magic makes on the audience as for his charming presentation style. With close-up magic, the magician's personality is arguably as important as his magic because he will be mixing with your guests and chatting with them between performances. 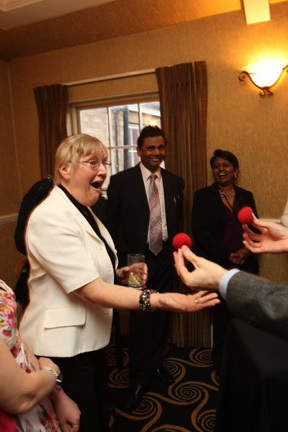 Close-up magicians mix with your group, whether seated at tables or mingling with drinks, performing inches from your audience's eyes and often involving the audience directly as they help make the magic happen. Frequently close-up magic is used as a warm-up during a reception to break the ice, sometimes culminating in an after-dinner magic show or if it's a big event, even an act by UK illusionists.